Teachers have often used readers theater to help improve reading fluency – now you can improve fluency AND work on reading comprehension. 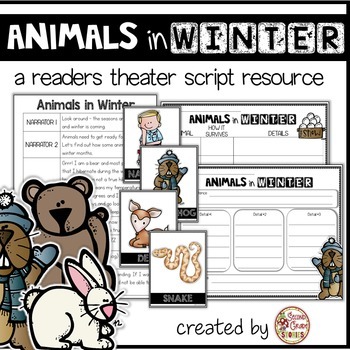 The script in this resource includes information about what different animals do in winter. I included a variety of response sheets related to the text, as well as a planning sheet and themed paper for writing. Once students are familiar with the text, they can each choose parts and share what they have learned with others! 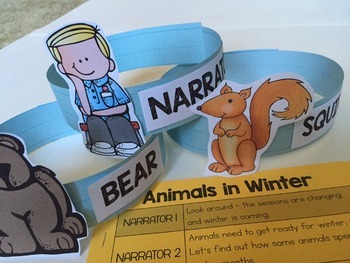 There are enough parts for 10 different animals and 2 narrators. (You can always choose to have one person read both the narrator parts.) Do a little rehearsing and you’re ready to perform for an audience! Please take a look at the preview to see what is included. 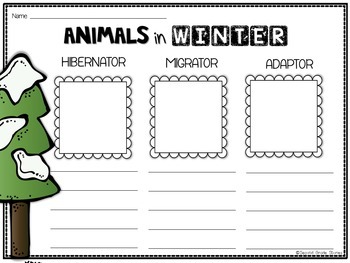 Looking to add more animals in winter resources to your unit? 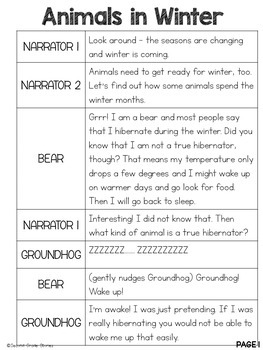 Check out my other winter resources by clicking here!